Six ranges of tyres have been introduced. Prices range between Rs 1100 to Rs 1700. Available in both tube and tubeless types. 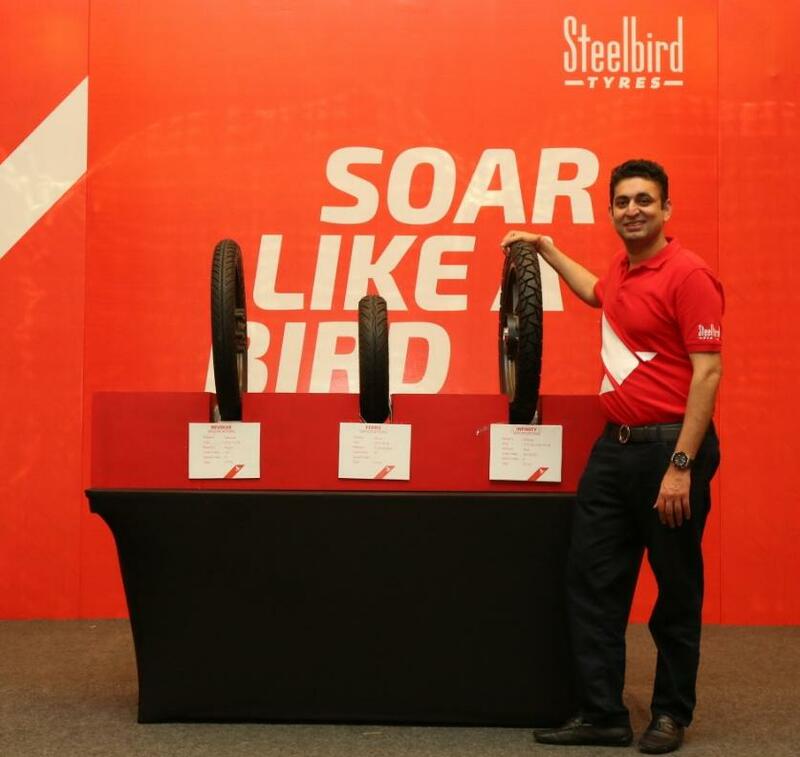 30th January 2019: On the first anniversary of its new business, tyres and tubes, Steelbird International launched its new range of two-wheeler tyres in Kerala on 27 January 2019. The comprehensive range of tyres, which Steelbird introduced in the Kerala market,includes Revolve, Orbit, Infinity, Ranger, Ferro and Voyager. Steelbird ventured into the new foray when it launched tyres and tubes for two-wheelers and e-vehicles at Auto Expo Component 2018. Since then, the company is continuously increasing its market penetration and had already received a good response from entire north India, including UP, MP, Punjab, Haryana, and Delhi-NCR, and Assam. High durability and long life are the USPs of Steelbird’s tyres and tubes, which are targeted to both urban and rural customer. During the launch, Manav Kapur, Executive Director – Steelbird International also released his first book ‘An Introduction of Automotive Filters’. The book provides firsthand insights on filters and the entire filtration process to the readers and those who want to establish their business in this domain. “We are expanding our business in Kerala with the launch of our new range of tyres. We have always strived to provide the best to our customers. We will continue to bring more innovations to our business and introduce newer products to our customers in the coming years”, said Manav Kapur, Executive Director – Steelbird International.